The word "heretic" doesn't generally have a positive connotation, but Tom Lix embraces it with a fervor all his own. The Cleveland Whiskey founder and chairman proudly refers to himself an "Industry Heretic, Embracer of Change, and Disruptor of the Status Quo" in his Twitter bio—and he's got the goods to back the claim up. Currently, Lix runs the only distillery in the world that can fully age whiskey in a 24-hour period using what he terms "flexible maturation and finishing technology." Cleveland Whiskey is also the only producer to use different types of woods in making whiskey—from black cherry to sugar maple to hickory. "We don't think of ourselves as a craft or micro-distillery, but as more of an innovation and technology company," explains Lix. "We're trying to make spirits that we can sell around the world." The [alcohol] proof is in the pudding: the company was named "Whiskey Innovator of the Year" at the 2016 Berlin International Spirits Competition, and former President Barack Obama visited the facility during a 2015 tour of MAGNET's Manufacturing Innovation Center. According to Lix, Cleveland Whiskey's flagship CLE Black Reserve has topped Knob Creek 54 percent of the time in a series of 3,600 taste tests. Now Lix is bottling that success and selling it a new way: Smoker Bricx, which just launched this week. "We're creating a product that's unique in the space by repurposing the woods we use to make whiskey and using them again as bourbon-infused smoker 'bricx' [for grilling]," explains Lix. Adds board member Blake Squires, "It's all about creating a product extension that has broader and bigger reach than the bourbon alone." Lix's idea for Cleveland Whiskey first sparked about 15 years ago while he was reading an article about "the rise of the middle class and the demand for affordable luxuries." His mind immediately went to imported scotch and imported bourbon. "It was a business that hadn't changed in hundreds of years—it's always been a very slow process for producing product from start to finish," says Lix. 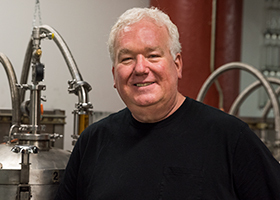 "[I anticipated] a tsunami of market demand that [traditional whiskey producers] would not be able to accommodate. With these dynamics, there was an opportunity for disruptive change." Seeking a new adventure in entrepreneurship, Lix says he swiftly transformed into an "amateur experimental chemist/physicist." He spent hours experimenting in his basement and studying everything from patents to temperature patterns in Scotland and Iceland. "I filled up close to 1,000 mason jars," Lix says with a laugh. "I'd drive back and forth from the gas station to fill the pickup truck with containers of ice. My mom was convinced that at some point, a neighbor would call the police to inspect, and they would break down the door thinking we had a meth lab in the basement." Luckily, no "Breaking Bad"-style scenario unfolded, but after a "series of systemic experiments" and moving his operation to a laboratory, Lix was able to pinpoint the approach for his proprietary technology. 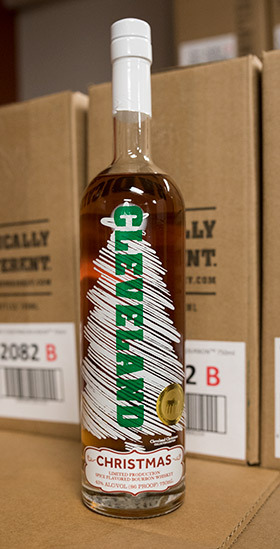 After the formation of the company in 2009, Cleveland Whiskey shipped its first bottle in March 2013. Here's how Lix explains the process: "We take relatively young spirits, put them in high-strength steel vessels, and apply a high-pressure vacuum in a highly oxygenated environment," says Lix. "It simulates all of the environmental effects that occur in a barrel, but much more aggressively." While other whiskeys can take as long as 12 years to age, Cleveland Whiskey's approach takes 24 hours. Though the technology is one-of-a-kind, Lix actually sees the ability to use different types of wood as the differentiator. "We get pigeonholed a lot as this accelerated aging thing, but the most exciting thing about it is that it allows us to use woods that have never been used for finishes before," says Lix, who estimates that 60 to 80 percent of whiskey's flavor comes from the wood. "Every other producer has to use American white oak [aging barrels], because if you built a barrel out of black cherry, hickory, or apple, it would leak like a sieve. We're the only company that is really able to get the flavors from these other woods without sugar, syrup, or artificial flavor or color." When Lix says Cleveland Whiskey utilizes a variety of woods, he isn't kidding—their signature Cleveland Underground Select line alone incorporates sugar maple, honey locust, apple, black cherry, and hickory. 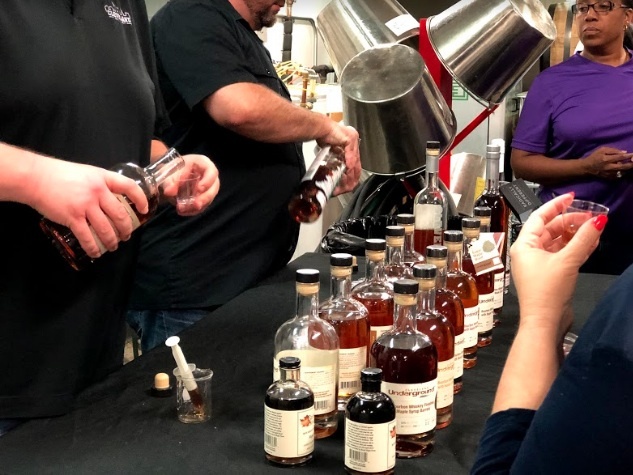 In late October, more than 500 people attended Cleveland Whiskey's open house event to celebrate its special release of bourbon whiskey aged in a Bissell Farms maple syrup barrel. 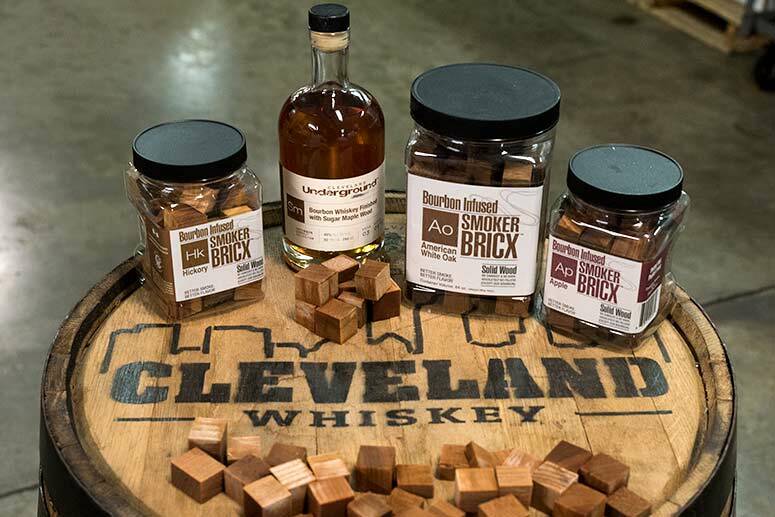 Along with Bissell Farms, Cleveland Whiskey has also partnered with local businesses like Rising Star Coffee, R.Shea Brewing, and Hansa Brewery to create limited-release bourbons. Another open house event will be held Dec. 9 to celebrate the Hansa Brewery partnership, as well as the company's popular Christmas Bourbon. "We'll produce 250 to 300 bottles of something different and unique that is only sold in our distillery, not on retail shelves," says Lix. 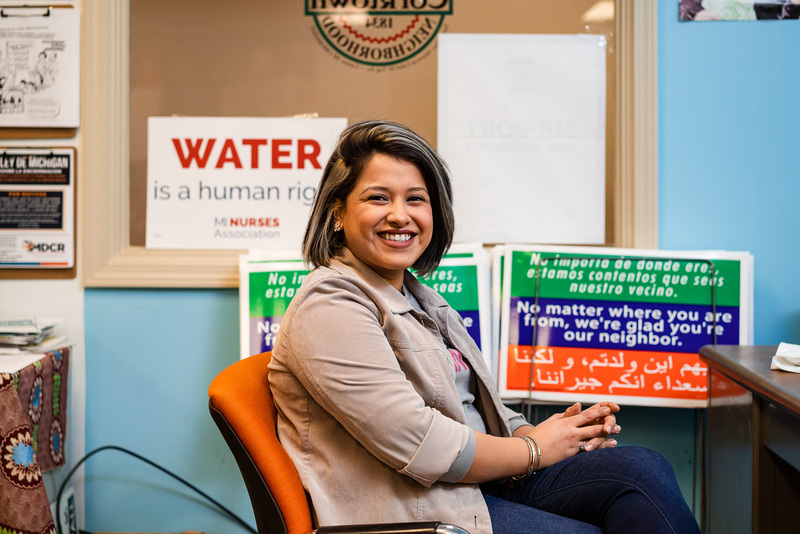 "It allows us to leverage and exchange audiences." Lix is even working with Holden Arboretum to "take branches that fall down or trees that they have to cut or trim to get different woods; one of the woods we just tried was persimmon. 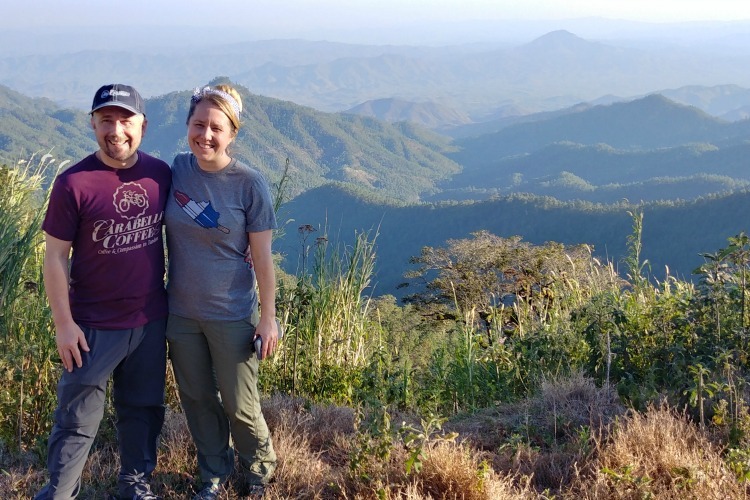 If we can partner with organizations like Holden Arboretum, it's a win-win because we can do things that they can use in their own fundraising initiatives." Currently, Lix is experimenting with pear and pistachio woods, and he sees no limit in sight. "What we make today is better than six months ago and better than a year before that—we're constantly testing and tweaking things," he says. "That's the beauty of being able to do things in an accelerated mode." The new Smoker Bricx line is another example of an experiment gone right. 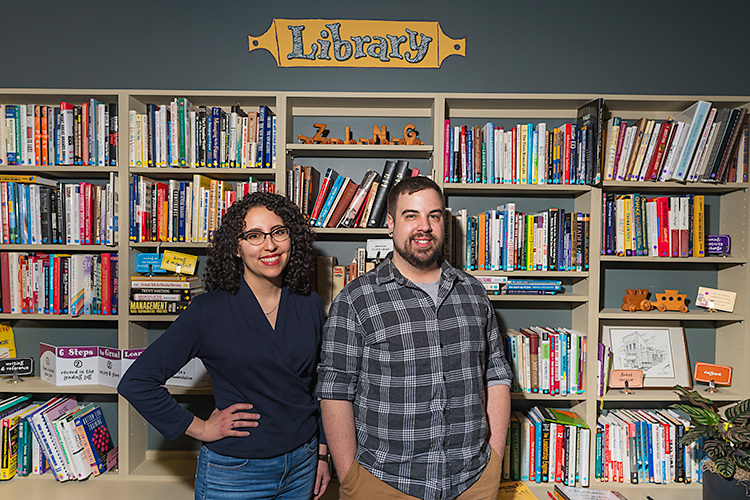 Lix developed the product in tandem with Blake Squires, a board member and self-identified "serial entrepreneur" who saw an opportunity in the wood that was continually being recycled and reused at Cleveland Whiskey. "I'm always looking for opportunities with brands and products, and when I was walking through the production facility for the first time, I noticed a small batch [of wood chips]," shares Squires. "Because they use different types of woods, it affords the opportunity to create a distinct flavor in smoker chips. [I told Tom], 'Why don't we build a business and initiative around this product?' We're at the point of launching it now less than a year later—everything moves quickly in Tom's world." As Cleveland Whiskey has continued to grow, so has its legion of believers. In 2016, the company ran a successful crowdfunding campaign in which 951 customers invested more than $700,000 to gain shares. Lix says the majority of the investors are "concentrated in Cleveland, but go as far as Ireland, Berlin, Singapore, France, Japan, and Taiwan." According to Lix, revenues are up 70 percent year to year, and Cleveland Whiskey is currently sold in 16 states as well as overseas. He says the next big step is for Cleveland Whiskey to move out of the MAGNET facility and build a bigger distillery. 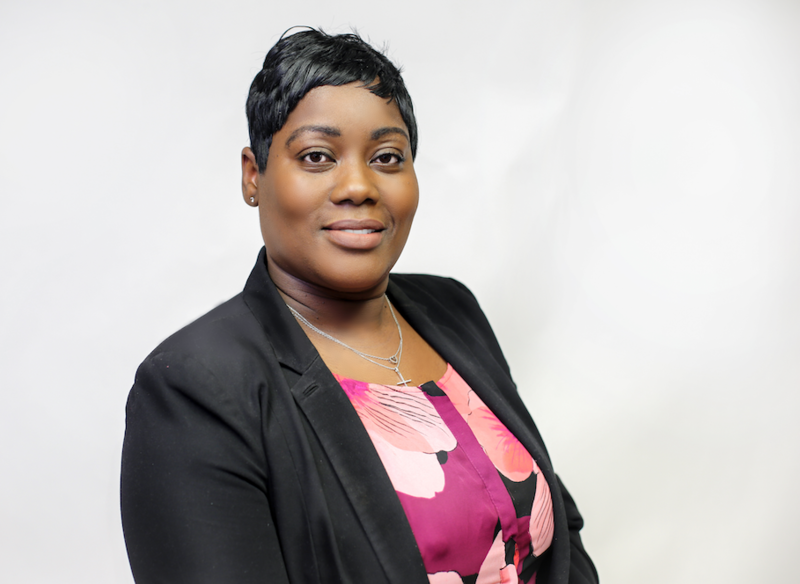 "It's an exciting time to be part of the company because it's growing and expanding," says Squires. "The whole industry is realizing that you just can't wait 12 to 14 years to produce anymore. People's demands and tastes are changing, and Cleveland Whiskey has a nice chance to capitalize on these trends that are happening out there." Predictably, Lix gets a lot of inquiries about licensing his technology, "especially overseas," but he believes "it's better for us to keep that intellectual property. Right now, there are a lot of things we can do right here in Cleveland." And no doubt Lix will do his best to uncover all of them.